Paulie has been into all things Totoro since he first watched the movie about 3 years ago. He owns a few versions of the theme song on his iPod. He received a little handmade rubber Totoro stamp in his stocking last Christmas. We don't get into much in the way of commercialized toys, etc, but I don't mind indulging a bit of movie fantasy with a bit of handmade goodness. I found this Totoro cross stitch pattern on etsy. I added a bit of a border to make the picture slightly larger. 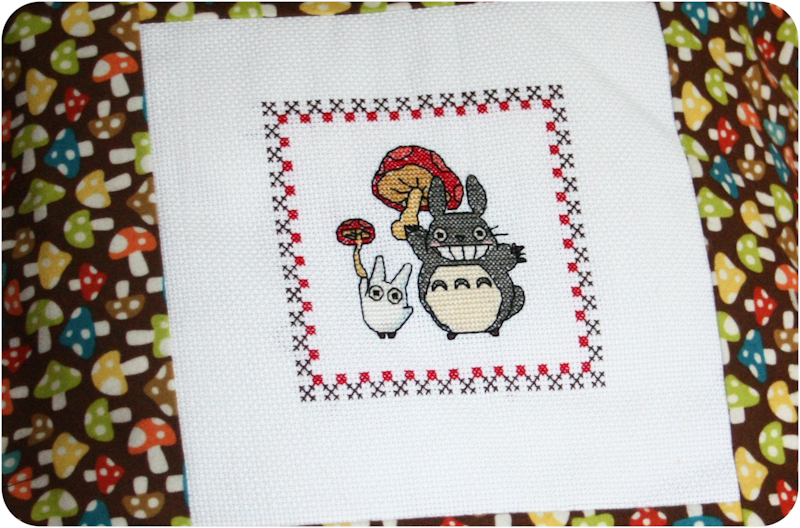 The brown flannel mushroom print from the Northwoods Forest Friends line seemed like a perfect match for his Totoro print, especially at half off! 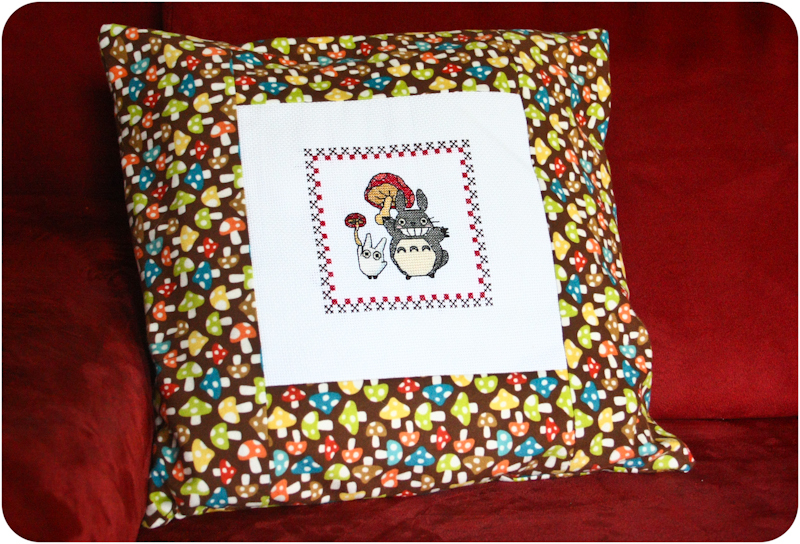 Slowly but surely I seem to be getting started on my birthday/Christmas crafting. Since all 4 of our kids birthdays fall between Oct and Jan, starting early is a must!